Meet our Sponsored riders & Brand Ambassadors. I have been teaching for over 20 years. I am thrilled to be a Brand Ambassador for EvoEquine and recommend their tack to all my clients as the quality and fit is superb. I compete in Hunter Trials, Show Jumping and have just started competing at British Dressage so will be out flying the Evo flag with pride. My horse Rocky has been going so well in his EvoEquine Bridle for Dressage. He feels much lighter in the hand, and happier to bend and soften. I use it with EvoEquine Bio Grip Reins which give a really good feel direct from the horses mouth as they are soft and not at all rigid, but have good grip. We have since purchased a second EvoEquine Bridle for Jumping and hacking with the new Noble Noseband, it's amazing, such a range of browbands to choose from, and the headpiece is nicely shaped and padded behind the ears for horses comfort. 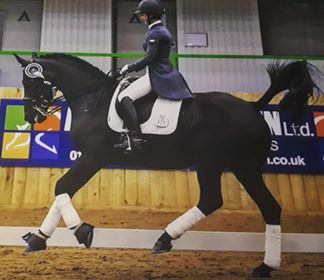 Rocky also has a fantastic new style Breastplate in Havana with White stitching, it is stunning and comfortable with lots of adjustment and good padding. If you see us out competing pop over and say hello and admire our lovely EvoEquine Equipment. Beth left school at the age of 16 and went on to be accepted to train at the world renowned Talland School of Equitation. In the years she was at Talland she achieved her BHS intermediate Instructors certificate and was in charge of the daily running of the school which included the care of 100+ horses, clients and students. Working her way up from a working pupil to a senior instructor and yard manager, she developed the skills and expertise to train and care for top international competition horses. During this time she trained under some top Olympic trainers such as Pammy Hutton, Charlie Hutton, Gerry Sinnott, the late Molly Siverwright and Justine Sole. 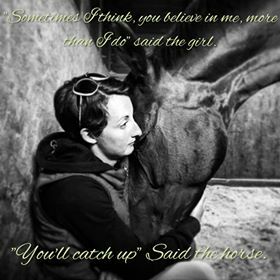 Returning home in 2010 Beth set up Lone Oak Stables training and schooling, which has been developed and expanded over the years. 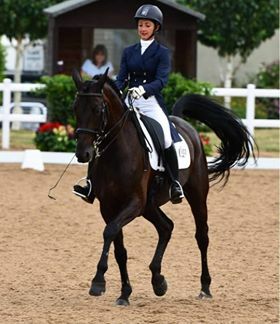 In 2012 she was awarded silver in the very prestigious British Dressage Young Professional of the year award. 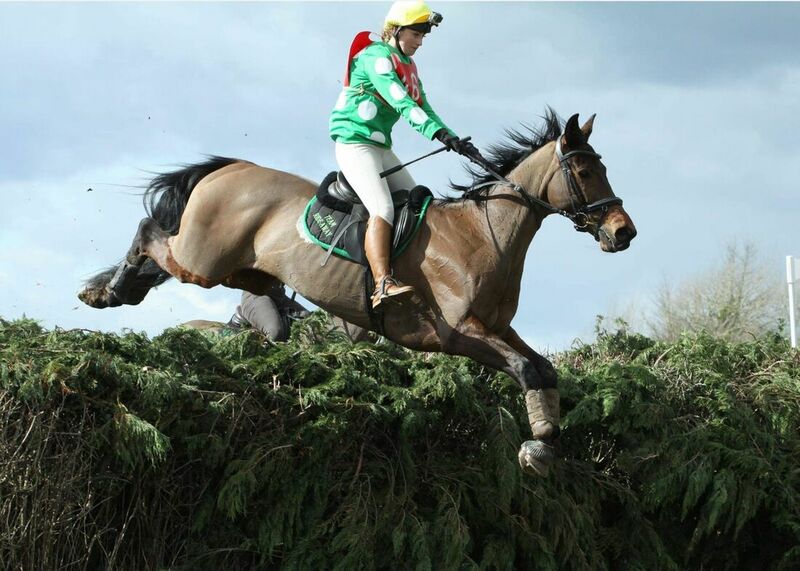 Beth has competed and trained horses from novice to advanced, including her own horse Hawtins Sirica to PSG level. She has competed in numerous regionals, nationals and has achieved individual/team bronze and silver medals for England. 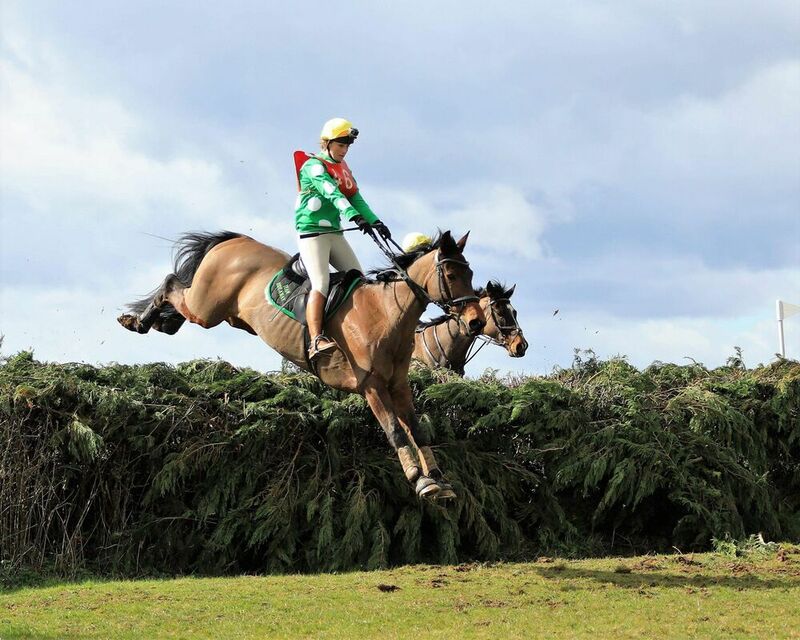 As well as dressage, Beth also competes regionally and nationally in Eventing and Sidesaddle! I bought the noble bridle after using it for a photo shoot with my boy. I wasn’t planning on riding in it but the photographer wanted some riding shots so I agreed to do some flatwork in the field. I could not believe the difference in the contact and my horses way of going in the new bridle! The photographer asked if we could do some advanced moves so I did some flying changes and then asked for a simple leg yield but he was so happy to move over for me that he went into the most beautiful half pass and I was in shock! We then did many more half passes and I simply couldn’t believe it, considering I have never been able to do a proper half pass with him before, so I bought the bridle the same day!